WHEN Binfield Heath was a scattering of cottages centred around ponds, farms and greens it would have been a self-sufficient community of farm labourers, blacksmiths, bodgers, woodsmen, gardeners, estate workers and house servants. A hundred years ago, there would have been no men living in Binfield Heath who were not also working there. The majority would have been farm labourers. Around the turn of the century, the agricultural depression led to the closure of many farms. An alternative employment opportunity entered the community in the form of two kilns - Comp Kiln and Shiplake Kiln. Not only did this provide a range of jobs, from kiln stoke, brick cutter, brick moulder, to clay digger and kiln stacker, but the output from the kilns resulted in an increase in building. This provided further work for brickies, carpenters, hog-carriers and tilers. The name Kiln Lane and a tiny square brick building at the entrance to Kiln Land are almost the last remaining indication that there once was a brickworks there. The works began in about 1869 and lasted until 1935. Over that period Shiplake Kiln, together with Comp Kiln, provided not only local employment but bricks for houses, which altered forever the size, shape and prosperity of the area. The production of the bricks and roof tiles was labour intensive. The clay had to be dug by hand during winter, loaded into wheelbarrows and taken up the sides of the pit, which could be 25 feet deep. 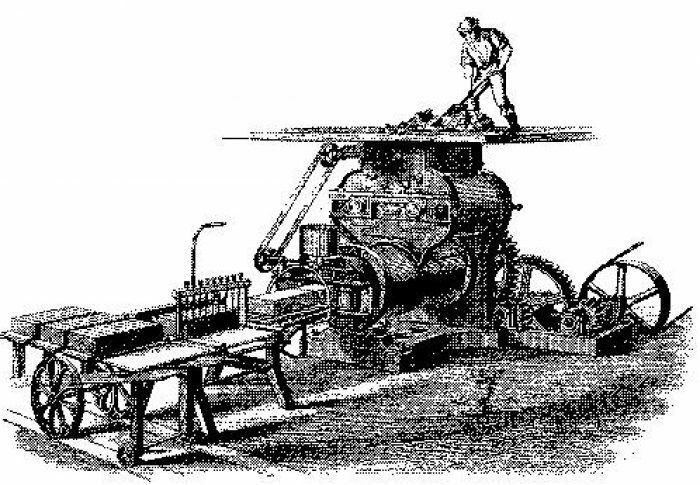 Hand-made bricks were manufactured throughout the life of the works but later machine bricks were also produced. The bricks were fired in a clamp kiln, which was just a pile of bricks with coal dust sprinkled between them, covered with old bricks and coaxed alight. It would be left to burn itself out over a period of two or three weeks. A pair of cottages, Kiln Cottages, was built opposite the kiln to ensure that the stokers or ‘burners’ were always on hand. The cottages are still there. Gradually brick making became mechanised with winches to raise the raw clay, a machine brick maker and a sophisticated kiln. Finished bricks were delivered by traction engine towing two flat trucks, travelling up to a week away. This supply of bricks led to the rise of the speculative builder and a programme of building provided employment which continued until Shiplake Kiln was blown up on 11 October 1935. In part this was because reserves of clay were believed to be running out but it was also the result of litigation between the land owner and the proprietor of the kiln. Rather than pay the proprietor £2,500 for the loss of the lease, he called in the Royal Engineers to blow up chimney and kiln. Today, Shiplake Kiln bricks, clearly marked, are highly prized.